Description - Daltile's Cape Coast collection is a versatile yet low cost glazed ceramic option you're sure to love. Neutral color options go with any room's decor, and is sure to look great for years to come. 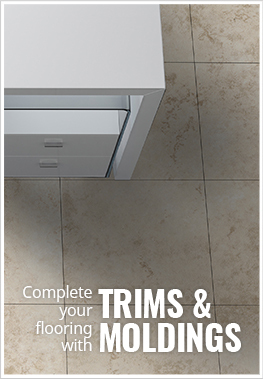 Ceramic tiles easy to clean and maintain, making them perfect for your busy lifestyle. Cape Coast is ideal for families with children, pets, and high traffic areas due to it's durability. If the floor tiles get dirty, simply sweep up or lightly mop the area. Size – Available as 12" x 12" or 16" x 16" tiles. Breaking Strength – >250 lbs. Case Weight – Each case weighs ~53 lbs. Recommended Uses – Cape Coast ceramic tiles are recommended for use in high traffic areas such as family rooms, kitchens, dining rooms, hallways, play rooms, offices, retail spaces, bathrooms, and more. Earthy colors in beautiful stone look. Durable glazed ceramic floor tile. High shade variation from tile to tile.